Icons don't roll up into fence » Forum Post by Shelly1599! I love fences. I can move all the icons when I move the fence. However, when I roll up the fence, the icons remain. What am I doing wrong? Sorry to hear you are having issues. Could you tell us more. 1) Windows version, use Winver.exe. 3) Monitor setup, single or multiple. How many monitors? resolution and scaling on each monitor. This screenshot shows for example. 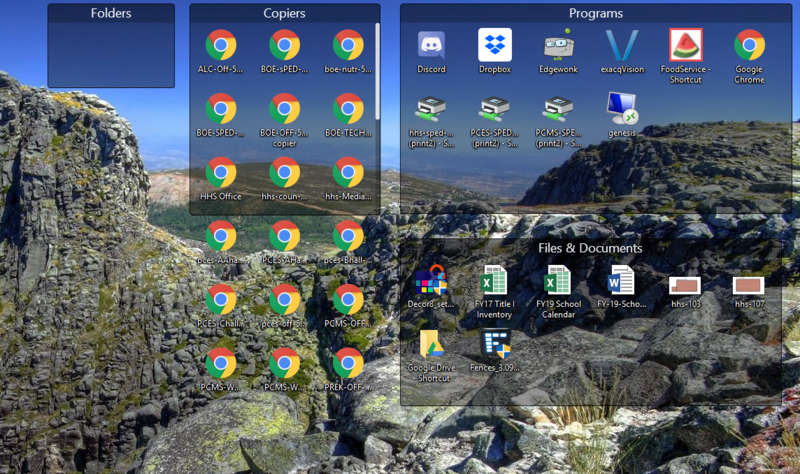 I resized the COPIERS fence, but the icons stayed on the desktop. Can you try to change the icon size to classic and see if the problem goes away?